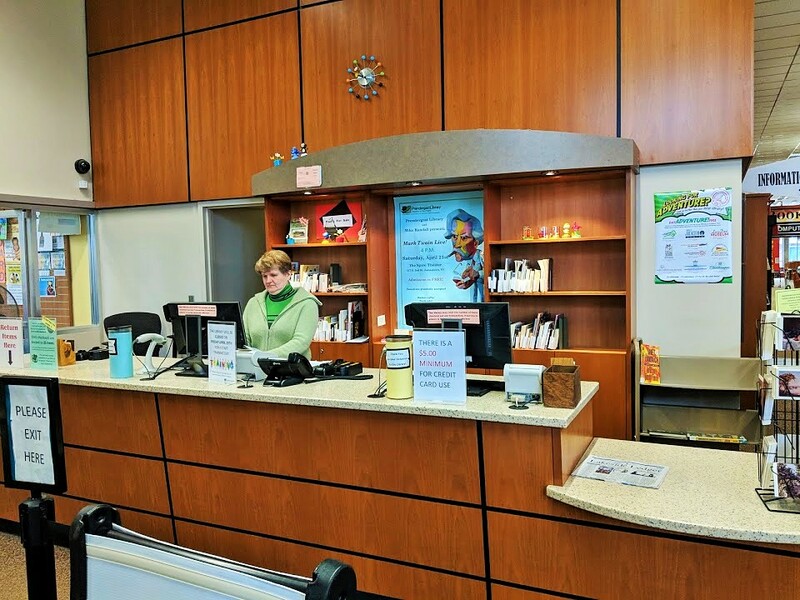 The circulation desk is the first thing you’ll see when walking into the library. We are always happy to see new patrons coming through our doors! Here you can sign up for a library card, check out items, pick up current calendars and class schedules, place and pick up holds, as well as get directions throughout the building and general information as to what our library has to offer. The Information Desk is just to the right of this desk, and staff often rove between the desks. So ask us anything, and we’ll find you an answer, one way or another! If borrowed items have not been reserved by someone else, books may be renewed up to four times by phone, online, or in person. DVDs may be renewed up to two times. Items on hold for other patrons cannot be renewed. Children cannot borrow DVDs, as the fines are higher on these items. Any patron with a Juvenile or Young Adult card (under the age of 18) cannot check out DVDs. Due to limited funds to buy new movies, a maximum of 25 DVDs can be checked out to one person at a time. When the Library is open, please return items at the Circulation Desk. We have a book drop-off, so you don’t need to wait in line. After hours, use the book deposit slot near the main entrance. Books returned overnight are backdated to the previous day that the library was open. To start using the library today, sign up for a 3 week temporary ID (temporarily unavailable due to new automation system), which can be used immediately to place holds, use the library’s online databases, and download eBooks and eAudiobooks. 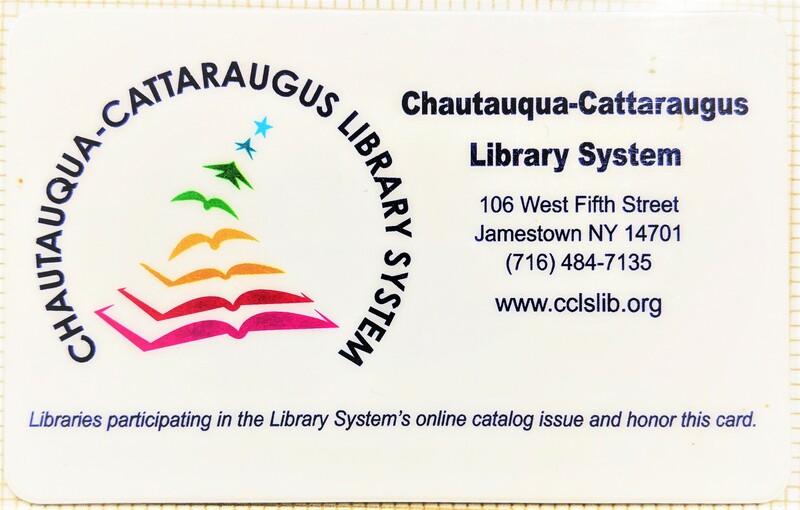 To get a library card giving you full access to all materials, bring to the library at 509 Cherry Street, Jamestown, your photo ID and proof of New York state current address. For out-of-state residents, cards cost $10 a year. Patrons must use their own cards to borrow or reserve materials. Maximum fines are $5 for each adult item and $1 for each children’s item. If an item is not returned, you will be charged for the cost of the book, until the item is returned or paid for. There is no limit on checkouts of books, audiobooks, CDs, and magazines – you can take as many as you can carry! Have another question about Circulation? Call the Circulation Desk at (716) 484-7135 ext. 233.